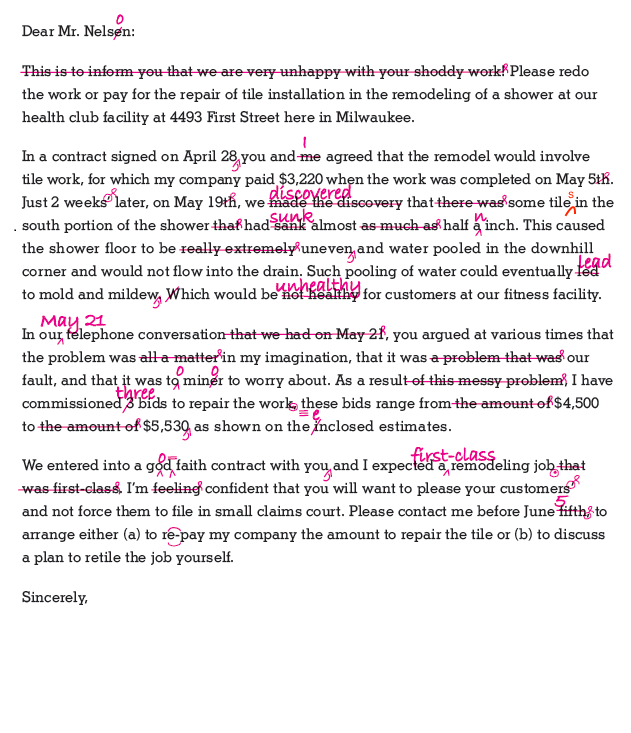 The claim message in this exercise suffers from rudeness and wordiness, as well as from proofreading, spelling, grammar, punctuation, and other writing faults that require correction. 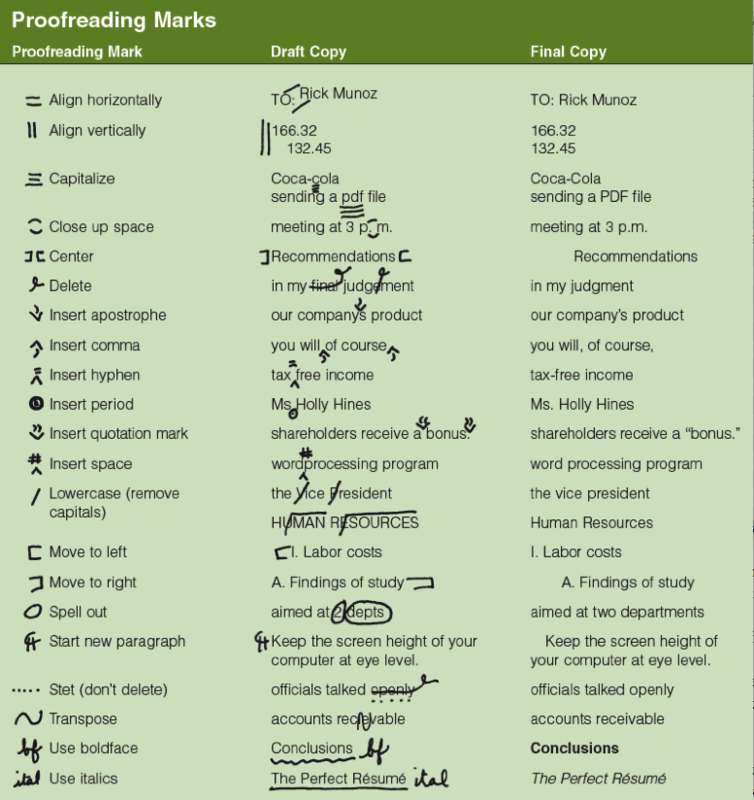 Choose from two editing activities below, and distribute the Proofreading Marks handout to help your students familiarize themselves with editing symbols. Activity Option 1: Help students review the flawed message in class in a guided peer edit session, individually or in small groups. Take students through several passes, focusing on a different aspect of the document each time. 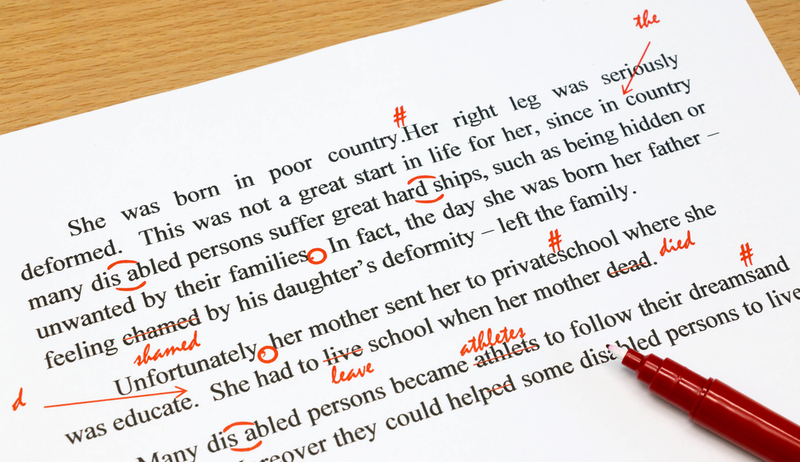 You may choose to reveal the marked-up solution at the end of the session, so that students can compare their edits. Activity Option 2: Alternatively, let students edit the message at home in preparation for in-class discussion. 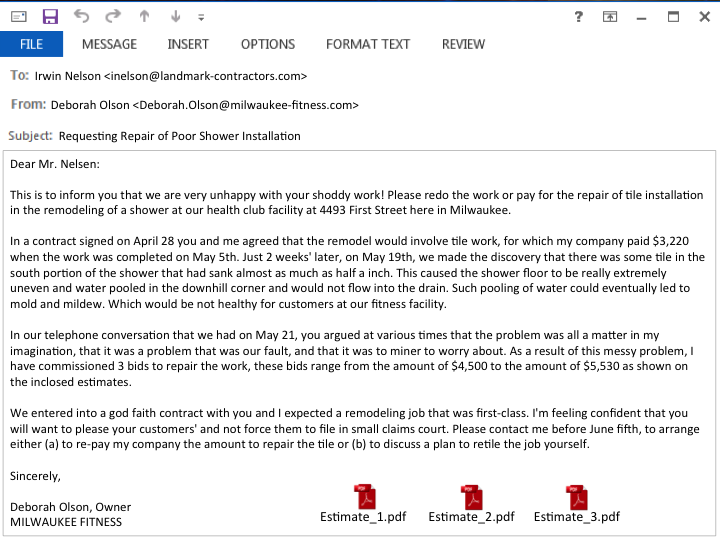 To ensure that students do the editing work in advance, collect their edited e-mails (in hard copy) at the beginning of class without discussing them and glance at them after class. In the following session, take a few minutes to project the solution on the screen and discuss it once you return the students’ own work. This entry was posted in 4. Classroom Exercises on November 7, 2017 by bizcombuzz.